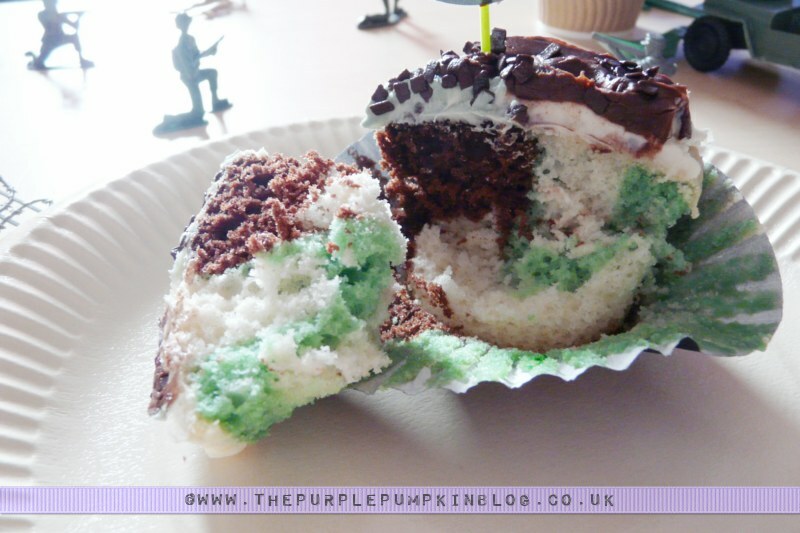 I did cheat on this one by using cake mix to make the cupcakes, but if you are a reader of The Purple Pumpkin Blog you know I can bake cupcakes just fine! 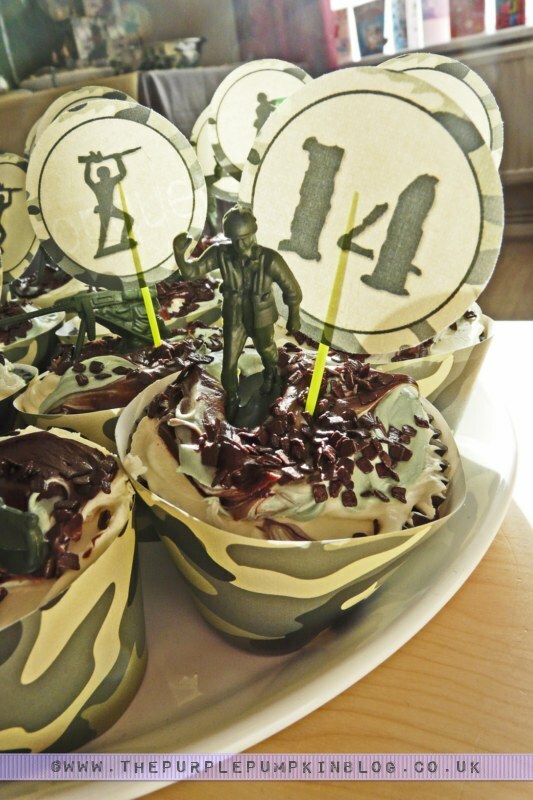 To make these camo cupcakes I took a box of white cake mix and prepared it as instructed on the pack, and then coloured half of it green. 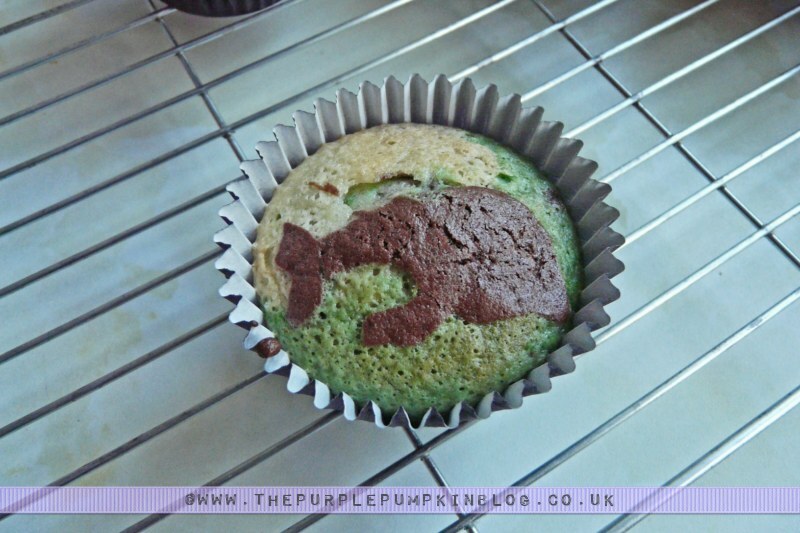 I know the green isn’t quite right, but it’s all I had as I couldn’t find my dark green colour paste. 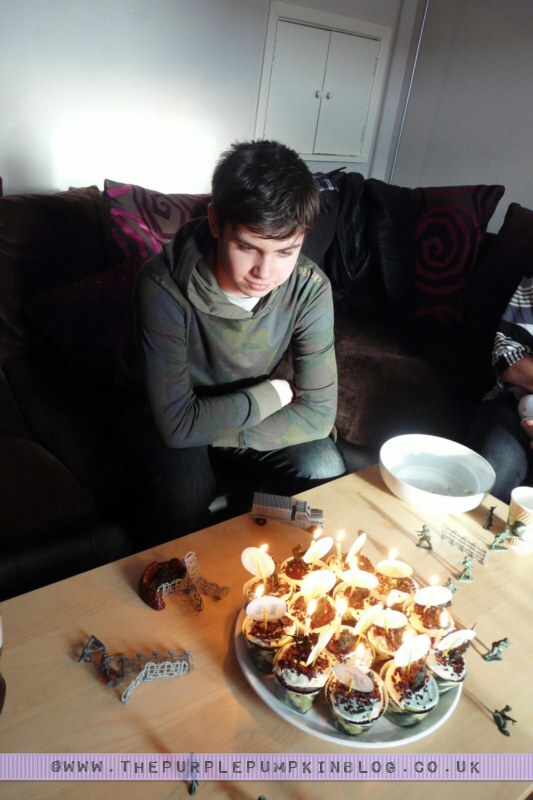 I then took a box of chocolate cake mix and prepared that as instructed. 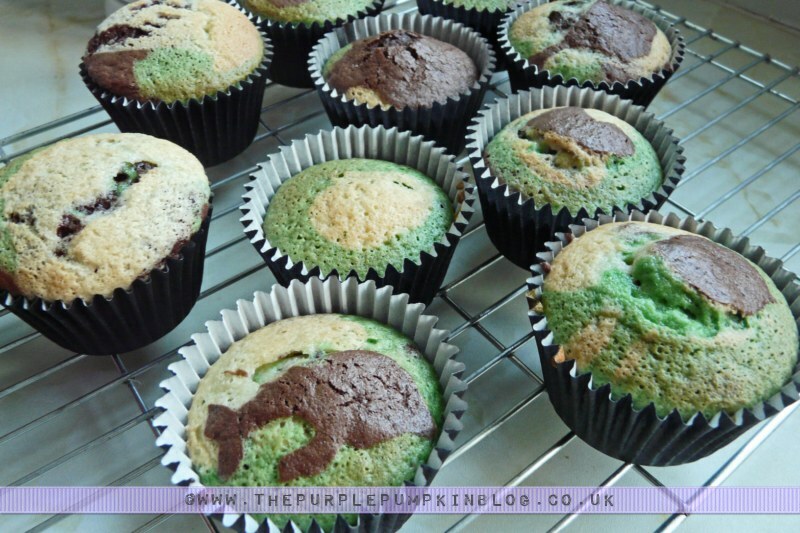 This is how they turned out – some better than others! And, o.m.g…one turned out looking like a dolphin!!!!!! 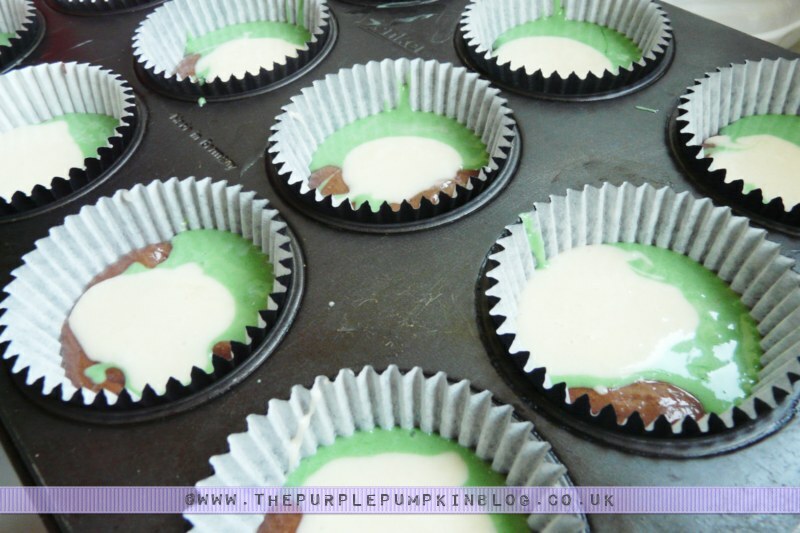 With the cupcakes all made and cooled I then iced them using store bought buttercream in white and chocolate – colouring some of the white icing green. 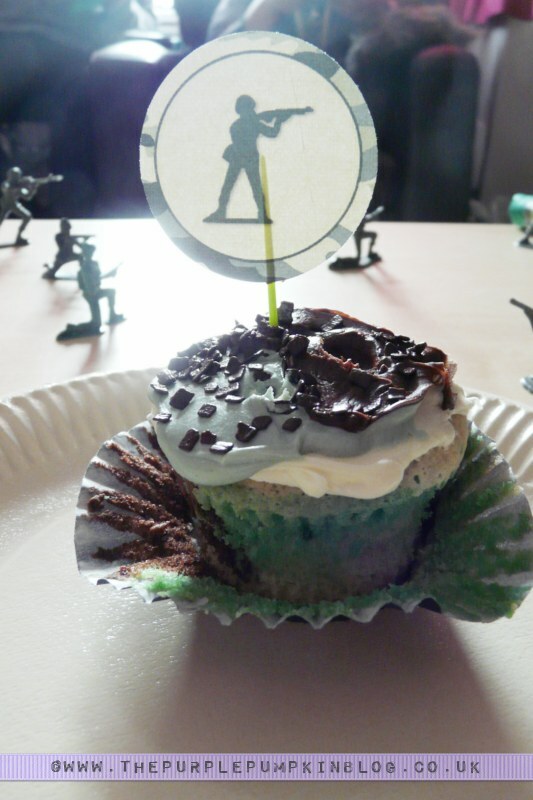 I then smoothed over some of each colour icing, sprinkled on some chocolate sprinkles for dirt and added a cupcake topper (which I designed) and a little green army man. I think, for a last minute jobbie, they came out awesome! 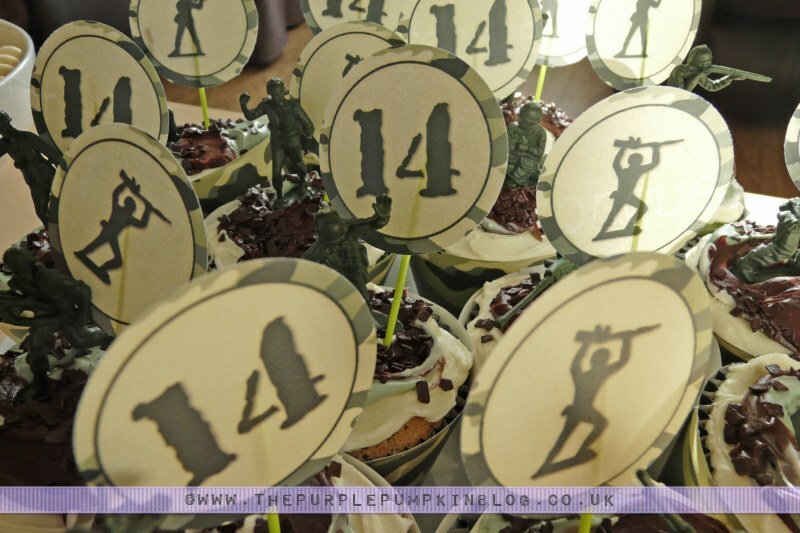 I placed each cupcake into the camo cupcake wrappers I made and they were good to go! 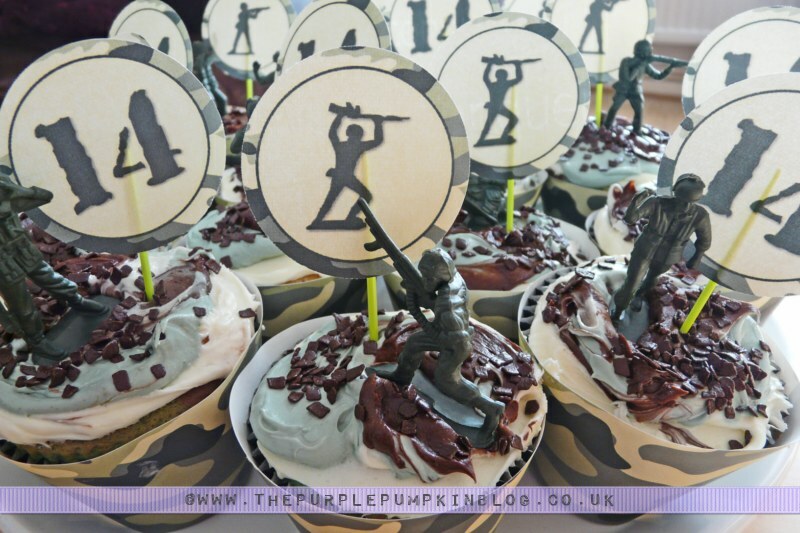 For more cupcake inspiration, come and follow my Cupcakes Board on Pinterest! 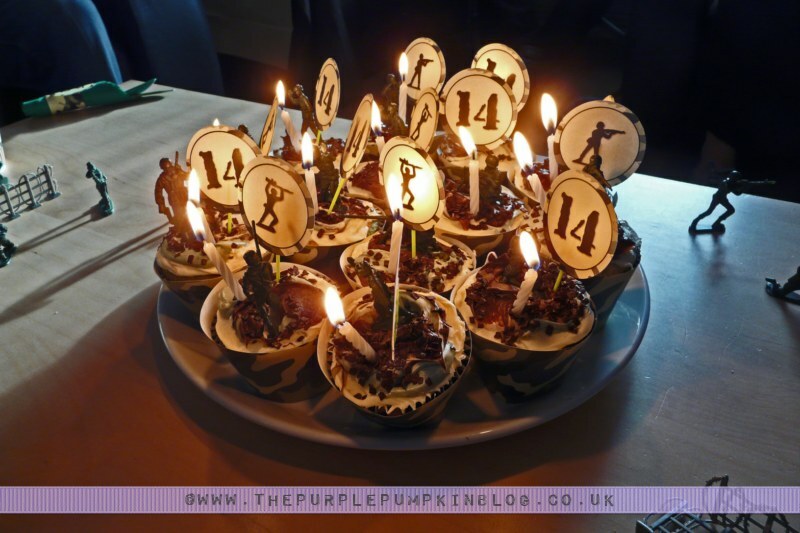 Follow The Purple Pumpkin Blog’s board Cupcakes on Pinterest. 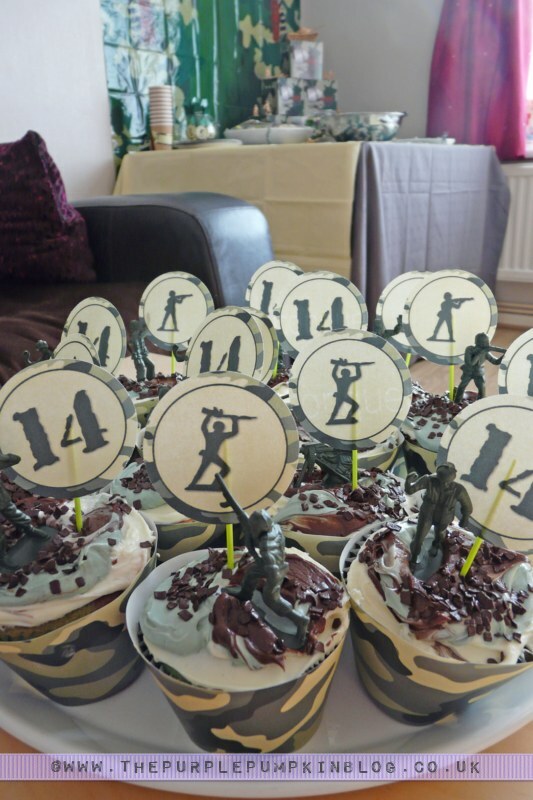 Happy birthday to your son – hope he loves them! Thanks for stopping by! Hope you are able to use them one day!